Pro tip: Working with a permanent marker pen is the best method I’ve found for practicing this technique. It forces you to make a clean decision in your mind before committing pen to paper. 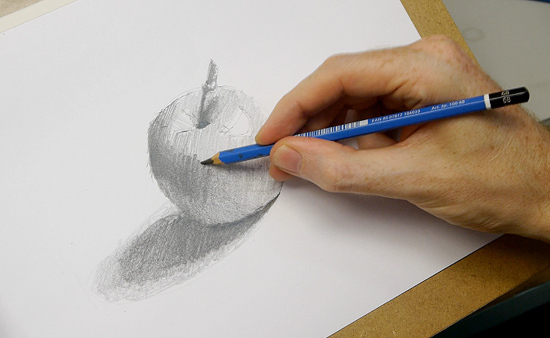 White paper, either regular computer paper or cartridge paper 2B & 6B pencil – I use Staedler Mars Lumograph Eraser – I use a putty eraser A round object to draw around (approx 7cm wide) A tortillion – I use a paper stump which is very similar compressed paper. Lightly work across the whole of the light side to indicate the half tone. In photography, lighting can often be called hard light or soft light. Hard light is harsh light so creates strong shadows and harder edges. I then make a mark indicating the furthest point of the cast shadow. 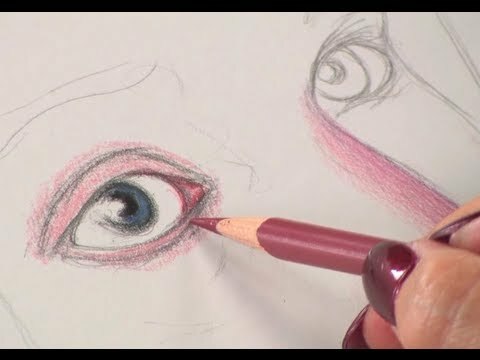 This one piece of information that can drastically alter your drawings and paintings. So, it could be a crisp line to indicate changes in shape or angularity. Using a putty eraser I take back any of the shape that has gone slightly out. I continue to work between softening and sharpening and blending. In this light and shadow series we look at the theory, drawing and painting of a simple form focusing on shadow, light and edges. 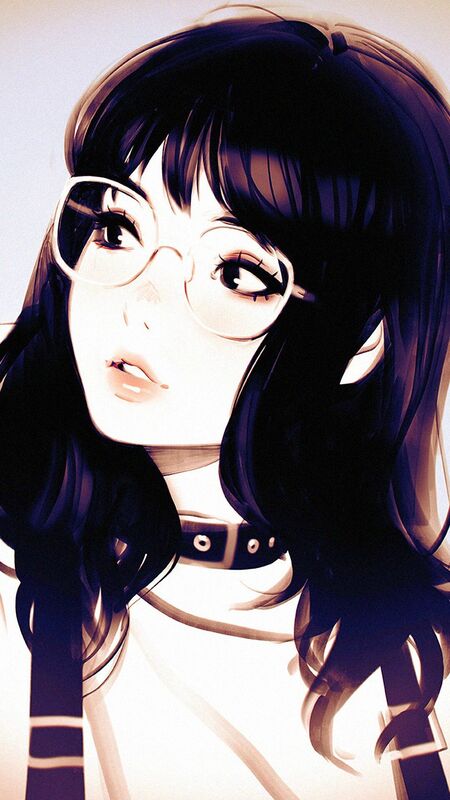 The image above is the final reference image I’ll use for this demonstration. 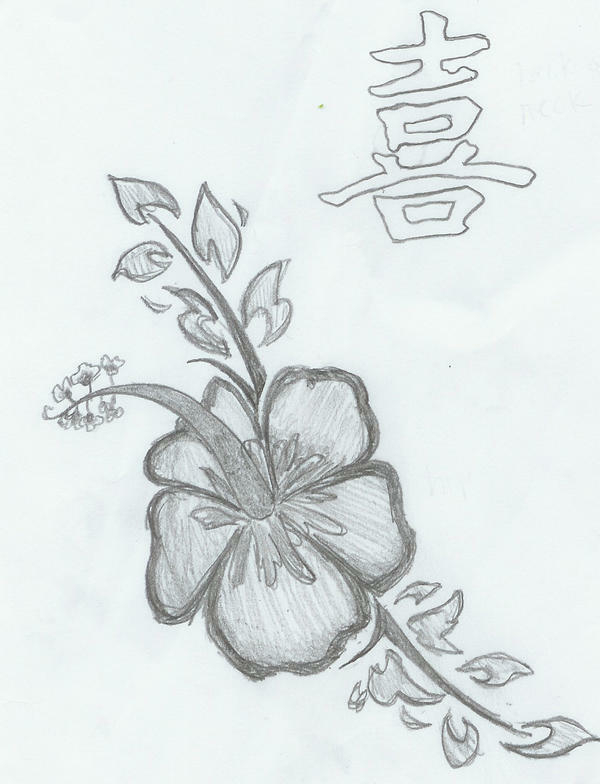 I sketch out the outline of the object and then put in both the cast shadow and the shadow line. Below are two photographs to illustrate the subtle differences in the shadow strengths when I altered the lighting slightly. Using our secret weapon, our paper stump I start to blend the tones together to achieve the soft transition between the light side and the shadow side. 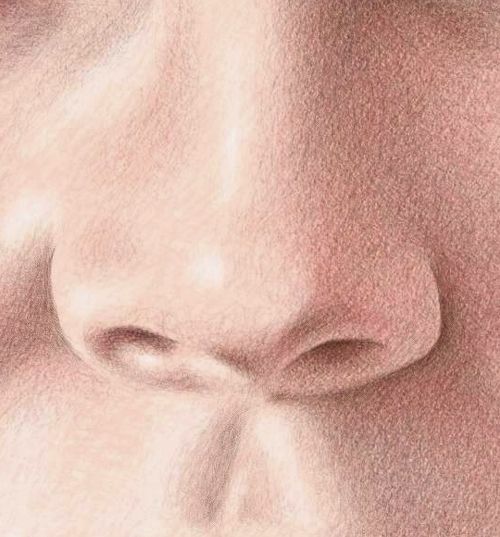 Whether you download and use the reference image or set up your own study, just take it a step at a time, look out for the soft transitions and I hope you get some fantastic results! 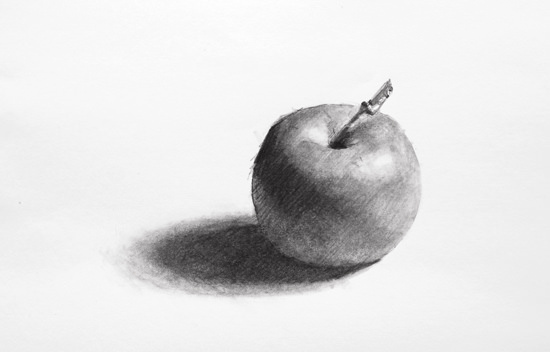 Using the softer 6B pencil, I reinforce the cast shadow depth of tone. It’s often the first sketch that is the most effective at conveying the sense of form rather than an overworked, detailed drawing. 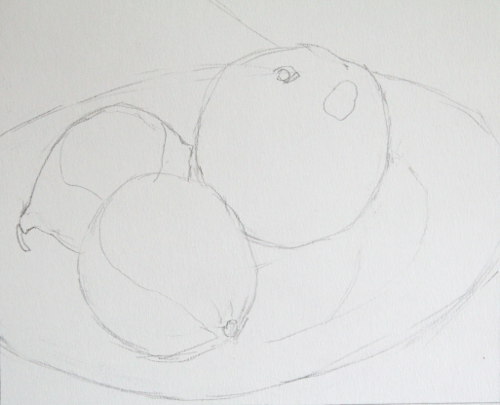 I now use a hard line and add slight angles to the circle, to represent more accurately the shape of the apple. Soft light is very diffused, creating softer shadows and softer edges. So if you wanted to photograph somebody in the most flattering light, you would have soft light. If you want to increase the dramatic quality of the scene you would use a hard light. The different characteristics of the light hitting an object can completely change its appearance. Now I feel confident to go heavier on the form shadow core as I have both the dark cast shadow and the dark stalk to judge against. Reinforce the cast shadow shape noticing – the darkest part that sits directly under the apple, the mid tone that makes up the majority of the cast shadow shape whilst keeping a lighter line as you get towards the lightest, softest tail of the cast shadow. 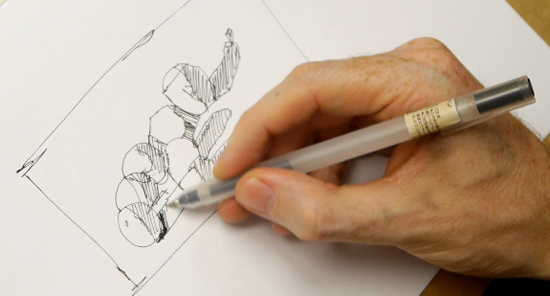 The term a ‘hard edge’ can describe two very hard surfaces, such as a tabletop with a metal cube on top of it or most commonly in drawing, we talk about the hard edge being an area that has a sharpness to it or a focal point of the drawing. Lightly draw an ellipse shape to indicate the cast shadow. Notice how the ellipse cuts through the shape of the circle. Also, see how you can judge the angle of the sun via the length of the cast shadow and the bright highlight. Don’t underestimate its importance because of its simplicity. I then draw in any darker accents on the bottom of the objects. So now I have three tones, the lights, the form shadows and the cast shadows. One of the key lessons from this demonstration I want you to come away with is to understand the importance of soft edges in your drawings. 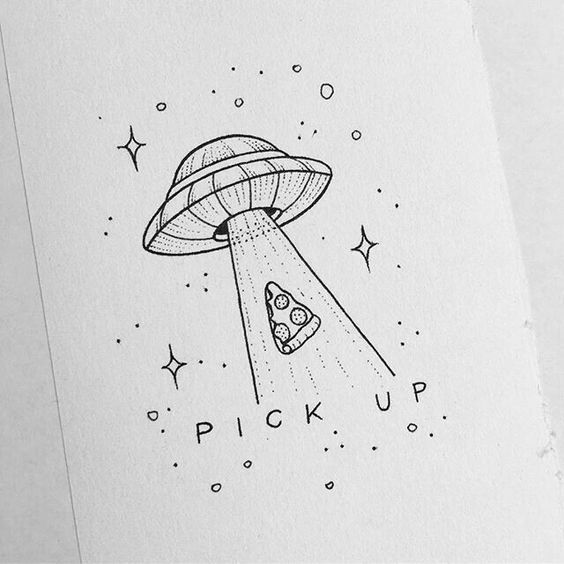 An opaque bulb will give you a light source in between the two examples above. O.k – you won’t have a diffuser to mimic a Softbox – but it won’t be as hard as direct sunlight either. This set up demonstrates each distinct area to be aware of, exaggerating the widest tonal range and when you’re a beginner it’s the simplest way to see the difference between the tones. 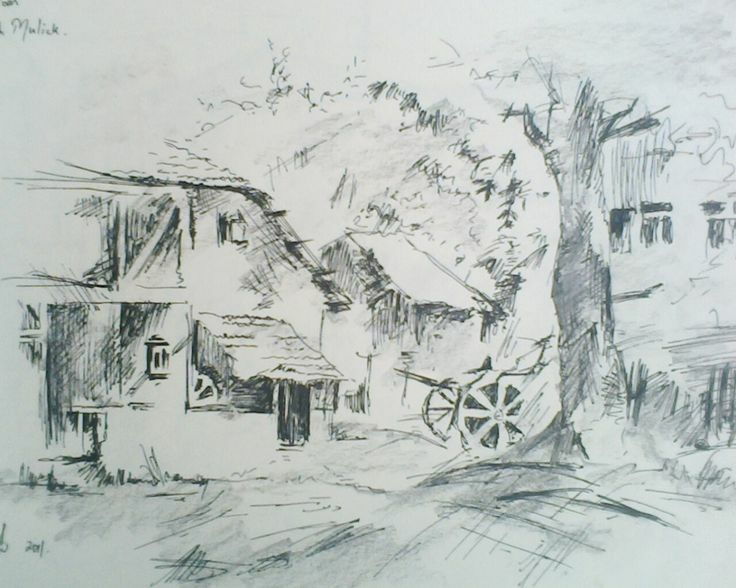 However, working with pencil, subtleties can get added into the scene (that are there) too early on and the simple distinction between light and dark gets lost. 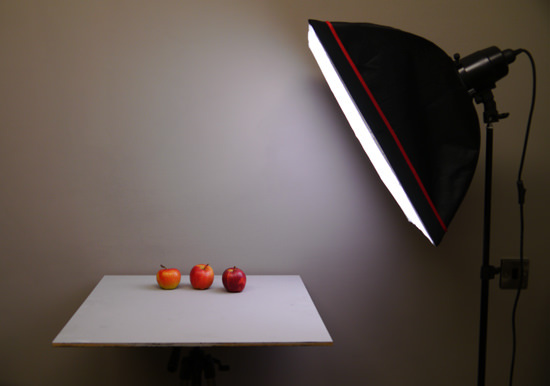 The Softbox gives us the fall of light we’re after, yet slightly softer edges on the shadows. This sketch is based on the Cézanne painting from last week. I’m using a black, fine line gel pen. This one is 0.5 mm from Muji. 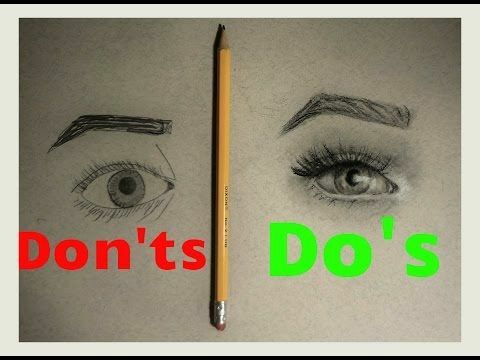 One of the biggest mistakes beginners make in drawing, is keeping all of the edges the same – most commonly, all of the edges are kept sharp and crisp. 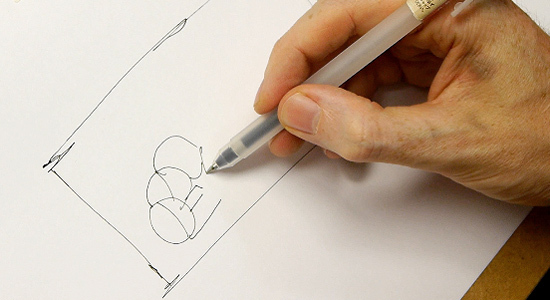 During this exercise, you have to make a clear distinction between light and dark because you are using a pen – helping to prevent the separation becoming muddled. The second one used a slightly higher lighting position with a softer light creating a softer cast shadow edge. I can then indicate the shadow side by hatching lines with the pen. I fill in the form shadow, working over the first, form shadow core band. I then shade a mid tone along this form shadow core. Even though it’s going to be darker than this eventually, it will help you to judge the different tones within the drawing. A small table lamp without a shade is a good choice for setting up your still life at home, if you want to work from life, rather than the photograph above. Or it could be an area of high contrast (light and dark) to draw the viewer’s attention. And once I’m confident with the general shapes and shadow patterns, I work with a thicker pen (this is a Staedler whiteboard marker) to indicate the very darkest cast shadows within the drawing. The first one used direct sunlight because it’s not diffused it has created a harder, more solid shadow line and cast shadow. 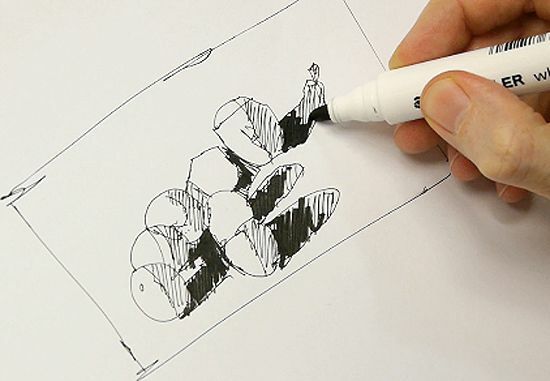 It can be ‘right clicked’ and ‘Save image as’, so you can use it as a reference for your drawing. This has just given me a really good idea of the shadow patterns within the scene. 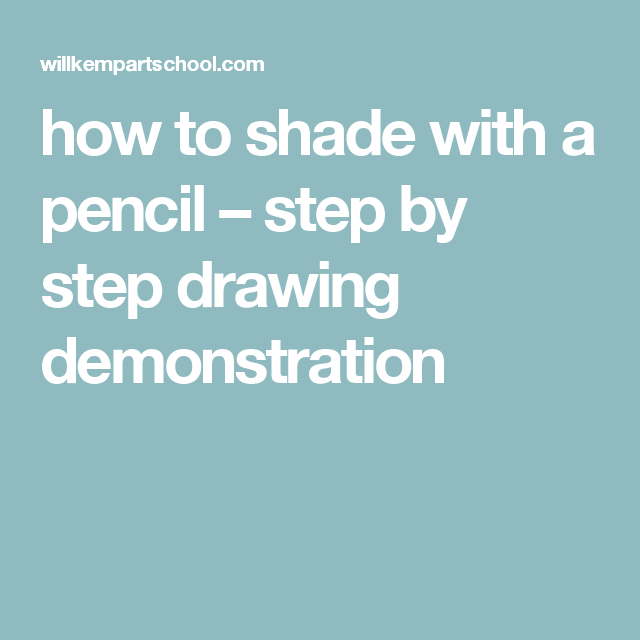 It can be a great exercise to do if you’re out in bright sunlight as you can get really distinct shadow shapes. 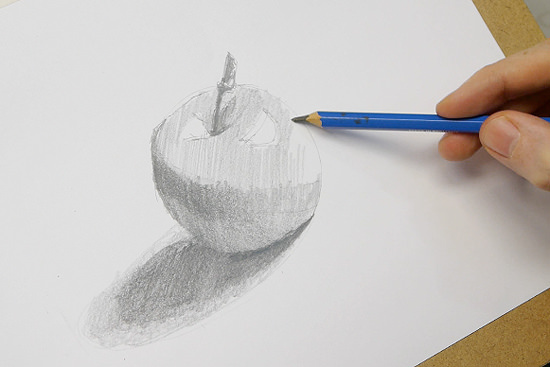 Next time we’ll be back in the studio where we’ll develop this apple study into a simple contemporary painting. I’m keeping the lines evenly spaced and changing the direction of them, depending on the direction of the form. 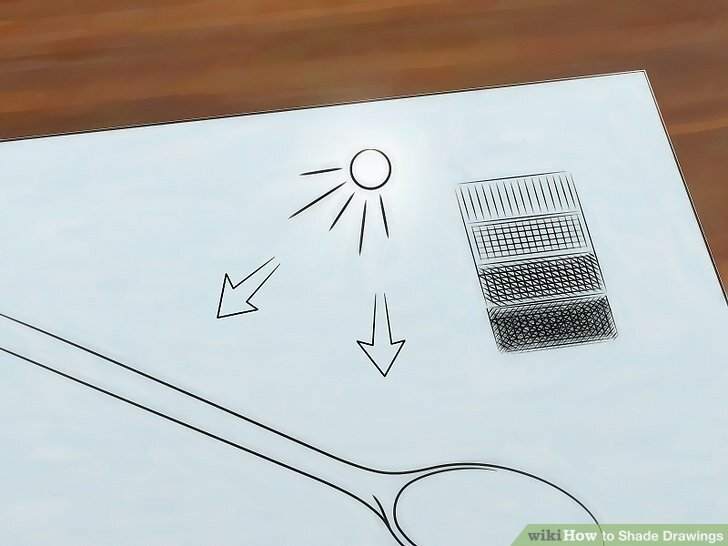 Notice how all of the cast shadows on the table are hatched in the same direction. A ‘soft edge’ is more flowing or fluid and tends to be more low contrast. Soft edges suggest the idea of roundness and a gradual transition. 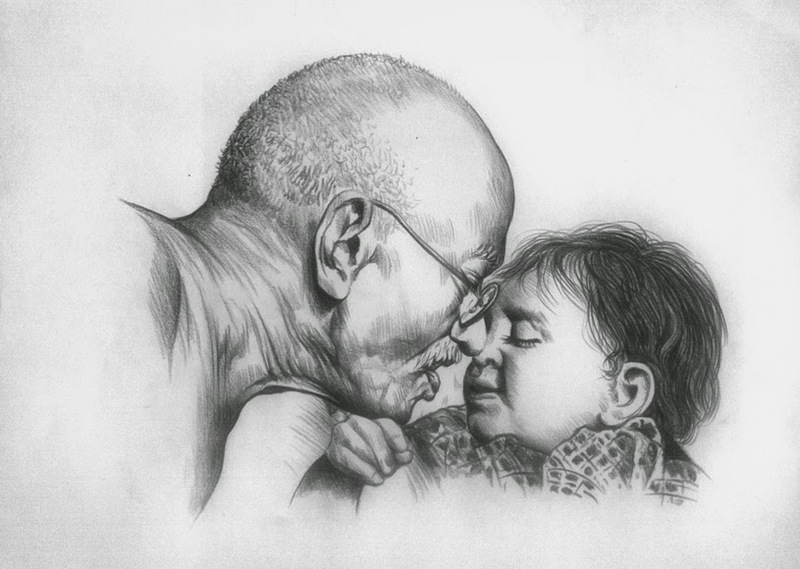 If you can learn to alter the weight of line and to incorporate more soft edges in your drawings, it will make a massive difference to the realism and style of your work. Shade the apple stalk as dark as you can get it, it’s practically black on the reference image and it doesn’t need to blend into any other tones – so we can afford to go as dark as possible. Before we get started on the main event, here’s a really quick way of practicing looking for the shadow line. For this demonstration, I’ve created a lighting set up using one single light source which gives us a predictable fall of light. So as we go through the next demo, I’ll indicate the areas to keep soft and the areas to keep sharper. Now I swap to a softer pencil (a 6B) and begin to shade in the majority of the cast shadow. Notice how the angle of the shading is the same as when I hatched the cast shadow in the shadow mapping drawing using a pen. It’s at this point I swap back to the 2B and draw the hard, sharp line at the base of the cast shadow. The curved line below the shadow line indicates a band where the form shadow core falls within. This will be the darkest area of the apple. 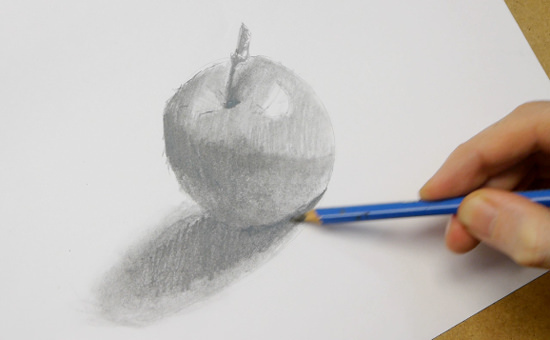 Continue the shade over the edge of the apple, this is called combining the shadow shapes. 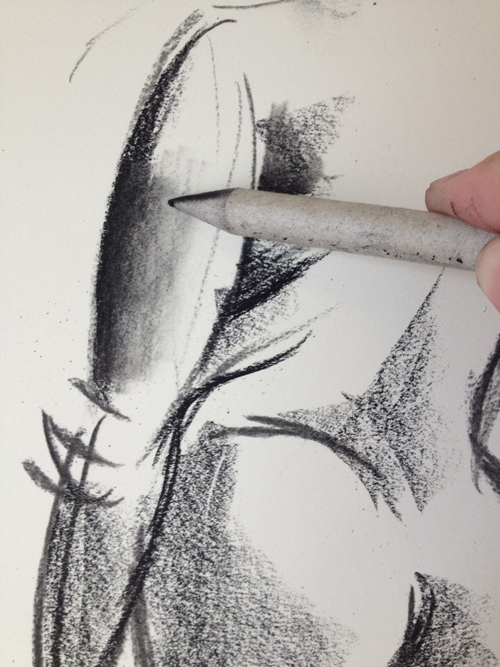 Holding the pencil lightly, I gently indicate the softer, lighter tail of the cast shadow. Notice how when you shade with the paper stump, it slightly darkens the tone. 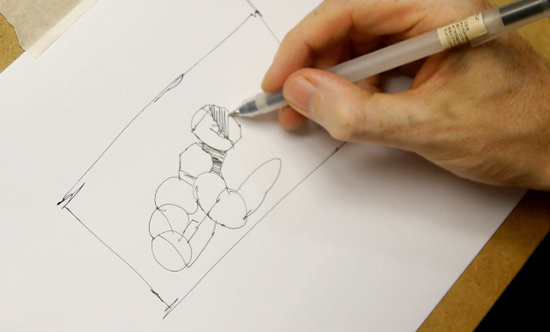 So now your eyes are tuned in, let’s get on with the form drawing using a pencil.